Colourful Gardening Shrubs Make A Garden! 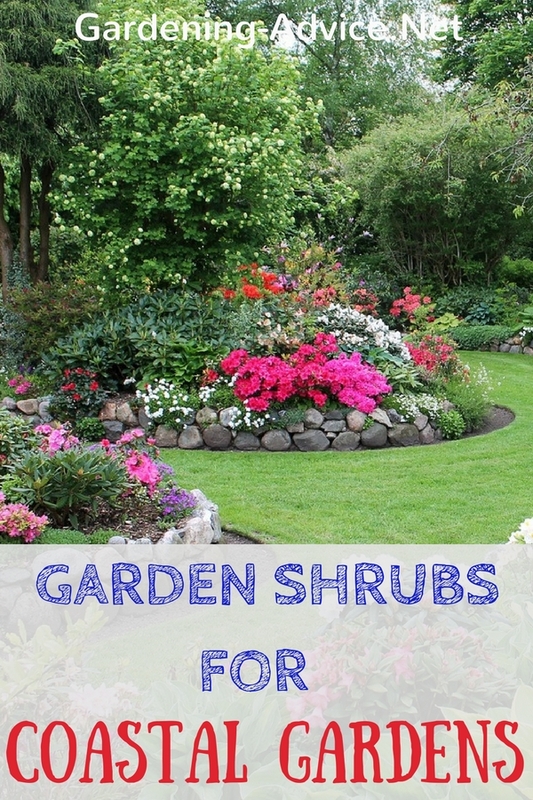 Different Types Of Shrubs Are The Backbone Of A Colorful Garden! 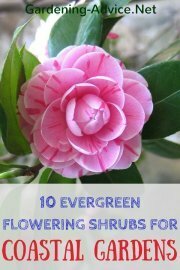 Choose the best Gardening Shrubs for a colorful garden. There are many different types of shrubs that will add colour, wildlife habitat and maybe even food to a garden. 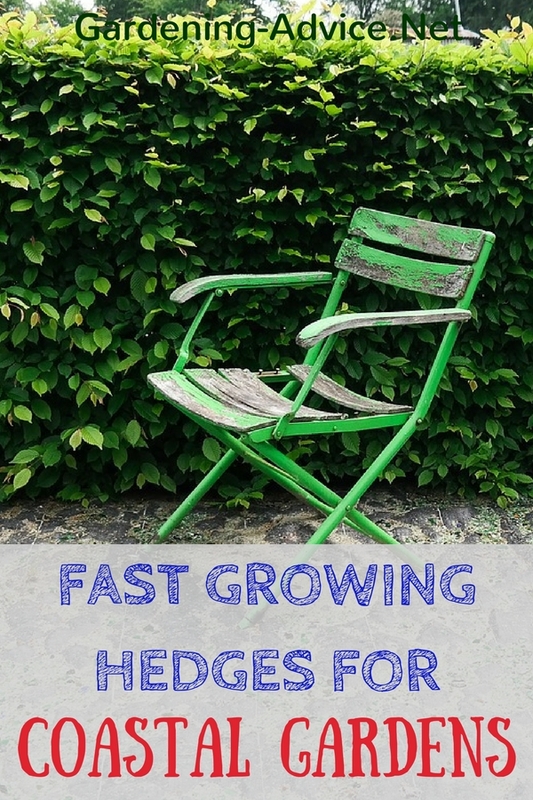 Garden shrubs are probably the most important plants in your garden. 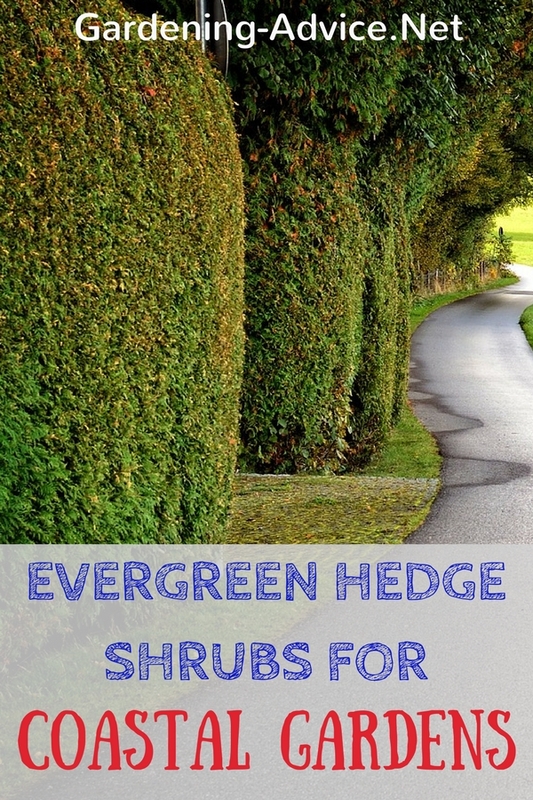 Hedge Shrubs provide shelter and privacy. You can choose between evergreen and deciduous ones. Some shrubs flower in the spring others during the summer. A few special shrubs e.g. 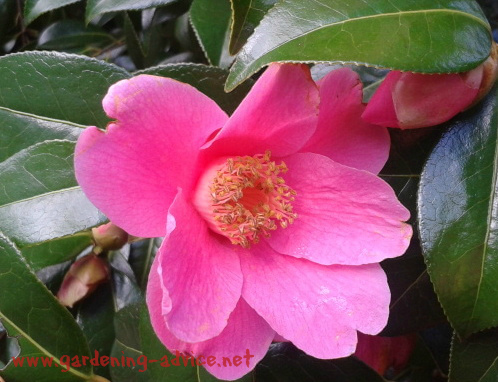 Camellias even flower during the winter offering color to your garden when nothing else is in bloom. Other shrubs have very attractive foliage that will enhance the appearance of your garden all year round. Examples for this would be Photinia Red Robin with its new red leaves or Junipers with their silvery foliage. 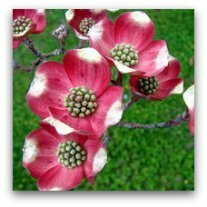 Some gardening shrubs have the added bonus of decorative berries or fruit like Pyracantha, Cotoneaster or ornamental quince. 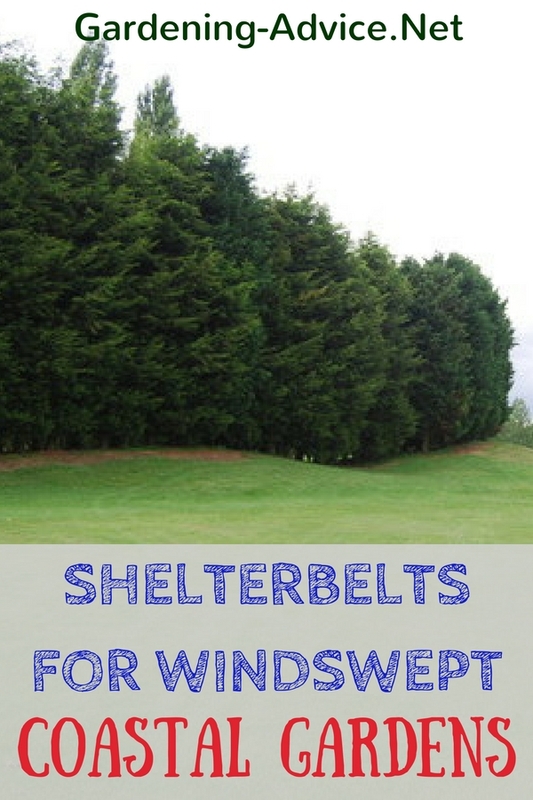 These can be a great food source for birds and other wildlife in the winter. 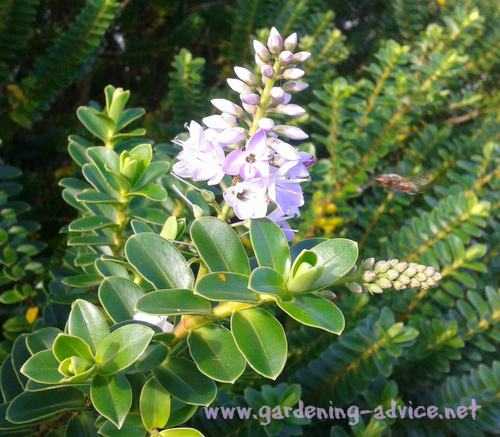 Scented foliage is also a great aspect of a garden shrub. Lavender is probably the best known example. 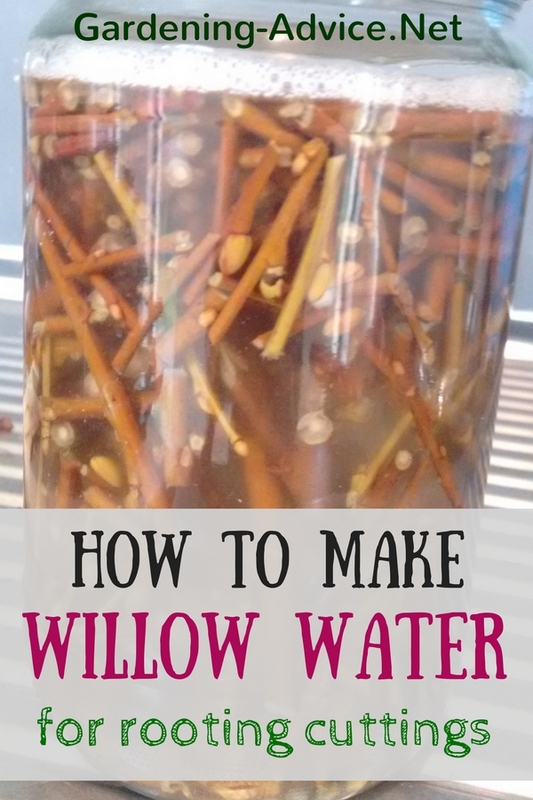 Make willow water to help grow roots on cuttings. 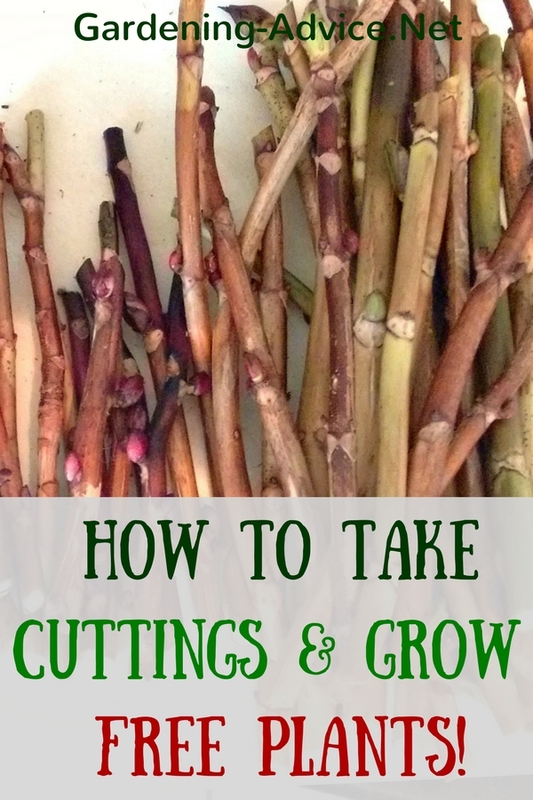 Learn how to take a cutting for free plants! 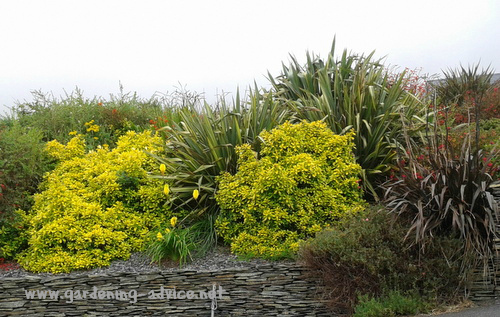 When planning your garden it is nice to have a mixture of evergreen and deciduous shrubs. Too many evergreen shrubs and trees can make a garden very dull and boring looking because most evergreens don't have much of a flower. They are looking the same all year round without much of a highlight. 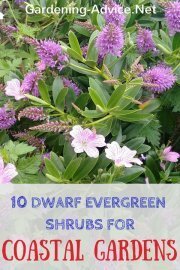 Evergreen shrubs though make a great background for flowering shrubs, grasses and perennials. 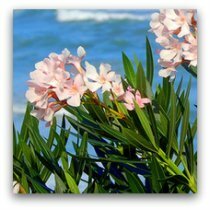 Plants that shed their leaves in the winter often flower during spring or summer. Their newly emerging foliage adds a wonderful fresh touch to the spring garden. Some of them e.g. Forsythias flower profusely in early spring before the leaves come on them. 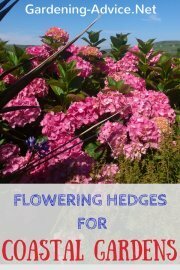 A lot of these spring and summer flowering garden shrubs are a great source of pollen and nectar for bees, butterflies and other insects. A lot of deciduous plants have brilliant autumn colors. Shades of reds a yellows look beautiful in the autumn garden. 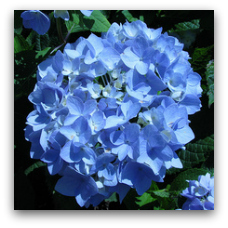 You can find a suitable shrub for nearly any condition be it sun or shade, damp, moist or dry soil. You just have to do your research and choose the right plant for your growing conditions and hardiness zone. That is actually a very important part of the success with gardening. Planting the right plant in the right place is half the battle. 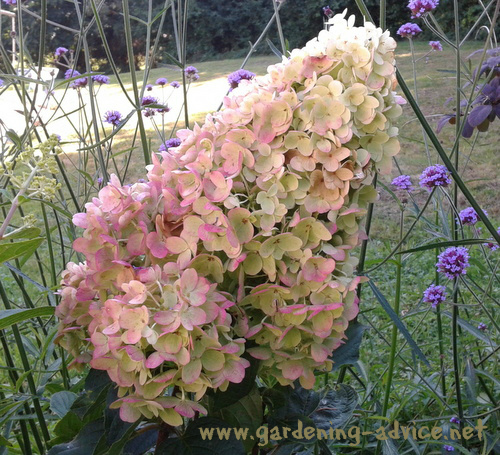 Paniculata Hydrangea with Verbena bonariense as a backdrop - nice! 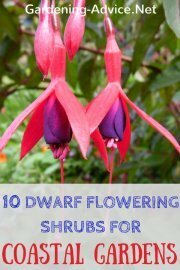 Shrubs also come in all sizes so always check if your space matches the size of the plant when it will be fully grown. It is sometimes hard to envisage to what size young plants that you buy in a nursery will grow into. What often happens then is that plants are planted too closely and grow into each other. The larger more vigorous plant will then take over on the others and smothers them. Small gardens are often only suited to dwarf shrubs as are small beds and rockeries. Sometimes climate dictates the necessity for a xeriscape garden with suitable shrubs and plants. Xeric Gardens with drought smart plants are very attractive for whatever reason you want to create one. 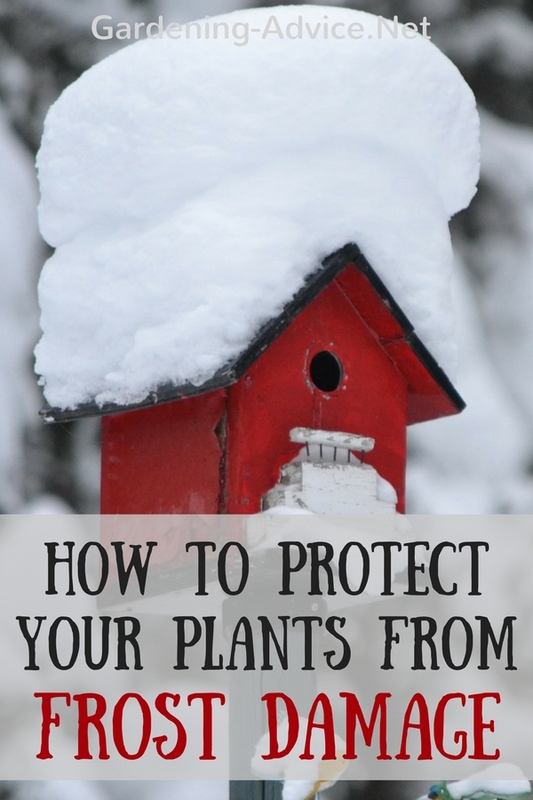 Frost protection for plants is an important thing to think about when getting the garden ready for winter. 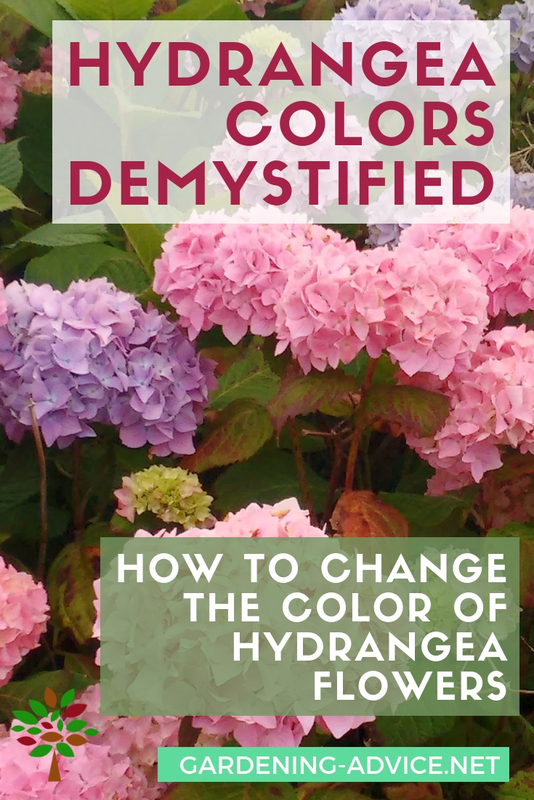 How to change Hydrangea flowers from pink to blue.